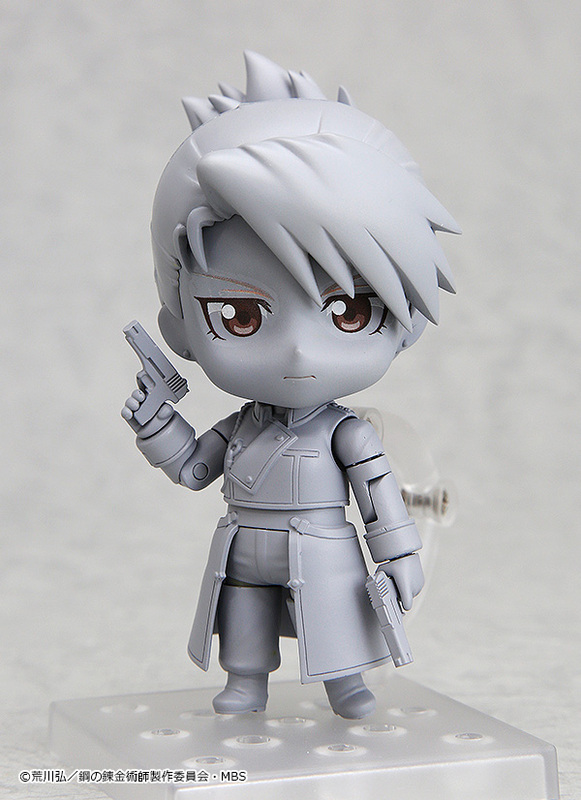 From the popular “FULLMETAL ALCHEMIST” series comes a Nendoroid of Riza Hawkeye together with her beloved pet dog, Black Hayate! She comes with three face plates including a composed standard expression, a gentle smiling expression as well as a dumbfounded expression, sighing at the occasional incompetence of her superior. She comes with articulated arm parts that allow her to be displayed in her iconic saluting pose, and she also comes with both two military pistols as well as a rifle. Enjoy all sorts of scenes in Nendoroid size – from the cool and composed lieutenant Hawkeye, to the gentle lieutenant playing with Black Hayate! Also be sure to display her together with the previously announced Nendoroid Roy Mustang! These pictures were taken by Good Smile Company or authorized person. Please visit manufacturer's home page in order to learn more. ©荒川弘／鋼の錬金術師製作委員会・MBS. All rights reserved.